Mathlingo provides this service through mathlingo.com regardless of the medium of delivery. 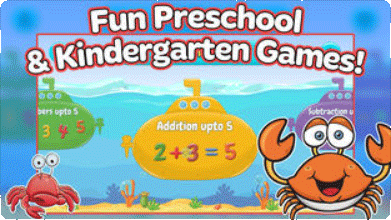 mathlingo.com provides general information about math apps and learning math for kids. Mathlingo provides this service subject to the terms and conditions contained in these Terms of Service (this “Agreement”). “Editor Data” means data and other information made available to Mathlingo through the use of the Mathlingo Services under this Agreement. “End User Data” means all personal information of an end user including name, emails, phone numbers and other personal data related to the use of Mathlingo Services (device data, timestamps, location, etc.). “Mathlingo Properties” means the mathlingo.com. “Mathlingo Services” means the services provided by Mathlingo to End User and Editor under this Agreement through www.mathlingo.com website, including all programs, features, functions, content and report formats, and subsequent updates or upgrades of any of the foregoing made generally available by Mathlingo. 2.1 Provision of Services. Mathlingo will make the Mathlingo Services available to End Users and Editors in accordance with this terms. Subject to the terms and conditions of this Agreement, Mathlingo grants End User and Editors a non-exclusive, revocable right to use the Mathlingo Services for information purposes only. The content presented on Mathlingo Properties should not be interpreted in any form as legal advice. 2.2 Use of Mathlingo Services. Customer will be solely responsible for all use (whether or not authorized) of the Mathlingo Services. Mathlingo reserves the right at any time and from time to time to modify or discontinue, temporarily or permanently, the Mathlingo Site or any portion thereof with or without notice. You agree that Mathlingo shall not be liable to you or to any third party for any modification, suspension or discontinuance of the Mathlingo Site or any portion thereof. 2.3 Restrictions. Except as expressly provided in Section 2.1 (Provision of Services), End Users & Editors will not transfer, resell, lease, license or otherwise make available the Mathlingo Services to third parties. Customer will ensure that the Mathlingo Services provided hereunder are used in accordance with all applicable laws, regulations and third party rights, as well as the terms of this Agreement. Specifically, and without limitation, End Users & Editors will ensure that Mathlingo is entitled to use the End Users’ & Editors’ Data as needed to provide the Mathlingo Services and will not use the Mathlingo Services in any manner that violates any data protection statute, regulation, order or similar law. 2.4 Change of Service. Customer acknowledges that the features, content, and functions of the Mathlingo Services, may change over time. Mathlingo Services as defined under this Agreement are offered for free. As between the parties, Mathlingo exclusively owns and reserves all right, title and interest in and to the Mathlingo Services, Mathlingo Properties. Mathlingo HEREBY DISCLAIMS ANY AND ALL WARRANTIES, EXPRESS OR IMPLIED, INCLUDING, BUT NOT LIMITED TO WARRANTIES OF MERCHANTABILITY, TITLE, NON-INFRINGEMENT, AND FITNESS FOR A PARTICULAR PURPOSE AND WARRANTIES RELATED TO THIRD PARTY EQUIPMENT, MATERIAL, SERVICES OR SOFTWARE. Mathlingo’S SERVICES AND PROPERTIES ARE PROVIDED “AS IS” TO THE FULLEST EXTENT PERMITTED BY LAW. TO THE EXTENT SUCH DISCLAIMER CONFLICTS WITH APPLICABLE LAW, THE SCOPE AND DURATION OF ANY APPLICABLE WARRANTY WILL BE THE MINIMUM PERMITTED UNDER SUCH LAW. UNDER NO CIRCUMSTANCES AND UNDER NO LEGAL THEORY, WHETHER IN TORT, CONTRACT, OR OTHERWISE, WILL Mathlingo BE LIABLE TO CUSTOMER FOR ANY INDIRECT, SPECIAL, INCIDENTAL, CONSEQUENTIAL OR PUNITIVE DAMAGES OF ANY CHARACTER, INCLUDING, WITHOUT LIMITATION, DAMAGES FOR LOSS OF GOODWILL, LOST PROFITS, LOST SALES OR BUSINESS, WORK STOPPAGE, COMPUTER FAILURE OR MALFUNCTION, LOST DATA, OR FOR ANY AND ALL OTHER DAMAGES OR LOSSES, EVEN IF Mathlingo HAS BEEN ADVISED, KNEW OR SHOULD HAVE KNOWN OF THE POSSIBILITY OF SUCH DAMAGES. UNDER NO CIRCUMSTANCES AND UNDER NO LEGAL THEORY, WHETHER IN TORT, CONTRACT, OR OTHERWISE, WILL Mathlingo BE LIABLE TO CUSTOMER FOR ANY DIRECT DAMAGES, COSTS, OR LIABILITIES IN EXCESS OF THE AMOUNTS PAID BY CUSTOMER DURING THE THREE MONTHS PRECEDING THE INCIDENT OR CLAIM. THE Mathlingo SERVICES ARE NOT INTENDED TO SUPPORT ANY EMERGENCY SERVICES. NEITHER Mathlingo NOR ITS REPRESENTATIVES WILL BE LIABLE UNDER ANY LEGAL OR EQUITABLE THEORY FOR ANY CLAIM, DAMAGE, OR LOSS (AND CUSTOMER WILL HOLD Mathlingo HARMLESS AGAINST ANY AND ALL SUCH CLAIMS) ARISING FROM OR RELATING TO THE INABILITY TO USE THE Mathlingo SERVICES FOR EMERGENCY SERVICES. The term of this Agreement will commence on the date the Mathlingo Service is accessed by the End User and/or Editor. This Agreement will be governed by the laws of New Zealand exclusive of its rules governing the choice of law and conflict of laws. 9.1 Assignment. End-user & Editor will not assign or otherwise transfer this Agreement, in whole or in part, without Mathlingo’s prior written consent. Any attempted assignment, delegation, or transfer in violation hereof will be null and void. 9.2 Amendment. Mathlingo may amend this Agreement from time to time, in which case the new Agreement will supersede prior versions. Mathlingo’s failure to enforce at any time any provision of this Agreement does not constitute a waiver of that provision or of any other provision of the Agreement. 9.4 Other Terms. This Agreement supersedes all prior and contemporaneous proposals, statements, sales materials or presentations and agreements, oral and written. No oral or written information or advice given by Mathlingo, its agents or employees will create a warranty or in any way increase the scope of the warranties in this Agreement. 9.5 Force Majeure. A party is not liable under this Agreement for non-performance caused by events or conditions beyond that party’s control (each, a “Force Majeure Event”) if the party makes reasonable efforts to perform. Either party may terminate this Agreement on written notice to the other party if the Force Majeure Event continues more than 30 days.